Yes you're right, I made another flower crown! I'm so in love with them that I can't stop. They make a person look so much more nice and sweet! Sim, têm razão, fiz mais uma coroa de flores! Estou tão in love com elas que não consigo parar. Elas fazem uma pessoa parecer mil vezes simpática e fofinha! Wow! That's super duper cute! Love the DIY! OMG. That is gorgeous. I love that headband. I have to try this. Thanks for sharing. Love flower crown!!! Love your blog also! Love your blog and posts! How about following each other? Let me know in my blog! 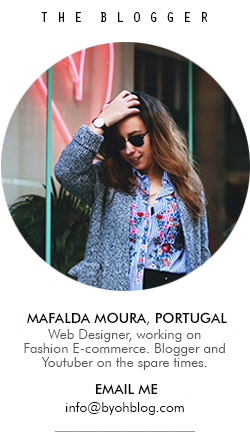 Followed you on GFC and Bloglovin! Lovely, this is perfect with a summer dress. Lovely flower crown. Great DIY. Thank you for a nice comment in my blog. Love your blog, would you like to follow each other. I am also into DIYs. Gostei muito da coroa de flores. hey, what are the materials? That is some awesome post. I am soooo going to try this. This is lovely, well done, xoxo. Adoro fazer e a tua ficou lindinha!